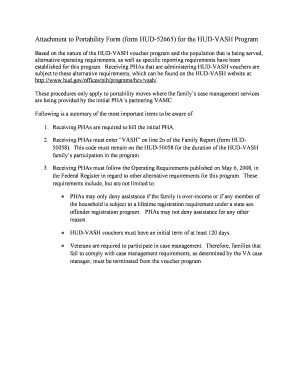 HUD-52641, Housing Assistance Payments Contract Section 8 .... HUD-52665, Family Portability Information Section 8 Tenant-Based Assistance (04/2015). form HUD-52665 (05/2004) ref. Handbook 7420.8. 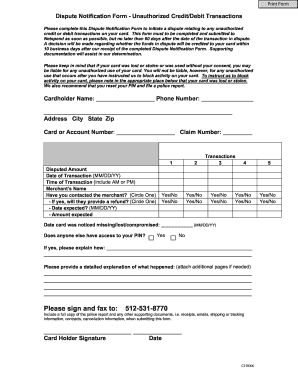 This form may be reproduced on local office copiers. 1 of 3. 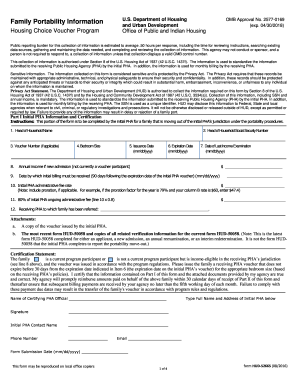 Part I Initial PHA Information and Certification.